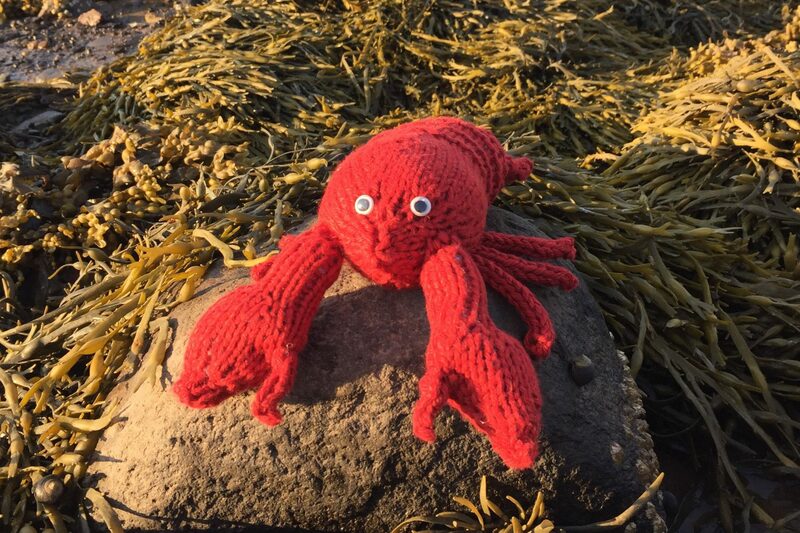 It’s the final day of Knitting and Crochet Blog Week. Since this is my first year participating, I can’t look back on what I said a year ago. I can say that while I haven’t participated everyday, I’ve enjoyed the challenges as well as reading other people’s interpretations of them. Looking forward to a year from now, I’d like to challenge myself a bit in my knitting. I tend to knit the same things over and over because they are easy, and sometimes it’s good to have something that is easy. There are many patterns and yarns that I’ve flagged as something I’d like to try some day. I hope a year from now I’ll have done at least one (or better yet a few) of them. My skills in jobless stripes and carrying yarn are not the best. I’ve started a crackerjack scarf that will hopefully help on both counts. I’m hoping a year from now I’ll be more confident in both. Since I’ve only recently started blogging, I’m hoping a year from now I still will be. I’d like to be posting somewhat regularly (I’m hoping a couple times a week). Part of me hopes I’ll have figured out a bit of a direction, but another part enjoys the randomness. I’ve always hated questions like “Where do you see yourself in a year? Five years?” but this was an oddly easy post. Looking forward to next year already! Hello, found you via the KCBW tags (well done, you, mine aren’t working for me!) and thought I’d stop by to wave hello from another windy island. Thanks for stopping by! My tags seemed to work sometimes, sometimes not. I just checked out your blog (briefly or I’m going to be late for work) – you have amazing projects. I’m looking forward to reading a bit more this evening. PS – there’s something about islands, isn’t there?